Our Federation is working to make Gaming and Esport popular in Hungary. We are organizing and conducting tournaments and championships to introduce this sport to the public. 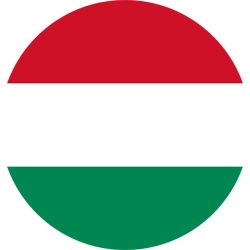 GeS already has outstanding members and partners at international and domestic level, enabling to representing Hungary at the highest international levels. Our members receive the highest accessible of professional and legal support. Our goal is to create the frameworks and regulations for the Esport in Hungary which allows us to organize Professional and Amateur championships, leagues, and their activities first in our country. We would like to reach that Esport become more popular in Hungary and become available to the Hungarian fans and gamers. With the help of our international relations we would like to put Hungary in to the world map of Esports. In the last two years we participate in many national and international events. Our leadership consist of members, whom have more than 10 years experience in this area. The Riot Games, the first domestic Professional Championship in Hungary was born with our active contribution. In 2017 we started our professional life with two events. The organization and professional online broadcast of the first; Hungarian PUBG Cup is linked to our name. In 2018 we will continue our work; we created the biggest, official Esport hampionship where 2500 individual gamer could compete against each other. In September of 2018 we’ll launch the first independent, professional and federally supported championship system of Hungary. With the help of our 10 years experience specialists, we can give confident help in every part of the world of Esport. With our support to our partners/ clients can reach their dreams the most successful and effective way; we can accompany them from the first step, to the last. We provide creative planning, professional implementation, high quality broadcast, and professional support. Our goal is to create a more acceptable Esport and Gamer community. Our Federation was established for to make a unified framework and regulation for the Hungarian gamers and fans.